Tolkien ambient black metal project Summoning have unleashed their latest recording, Old Morning’s Dawn, via Napalm Records. The pre-order links are now active and the final product will be released June 27, 2013. 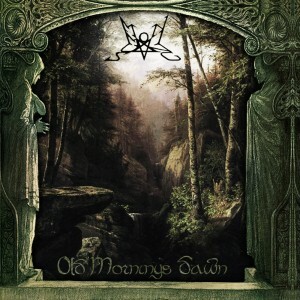 Old Morning’s Dawn follows up on 2006’s Oath Bound, which united the epic spirit of power metal with the gentle melodic atmosphere and inner savagery of black metal, making the ideal soundtrack for medieval battle or spiritual occult warfare against the modern world. Is this what people these days call an “epic win”? We’ll have to wait and see my friend! These guys may have fell to mediocrity with some cool tracks here and there after the second album, but at least they NEVER released a grunge album (Disharmonic Orchestra…). Even Napalm Records seems cooler than Nuclear Blast nowadays. At least they aren’t passing off Immolation’s latest Korn grooves influenced obvious travesty as a monumental work of death metal art. the trailer was cheesy, but a nice touch i thought. can’t wait!